For former Maryland Gov. Martin O’Malley (D.), Robert Francis "Beto" O’Rourke is the best candidate to oppose President Donald Trump in 2020. "People are looking for a new leader who can bring us together. They are looking for a unifier and a healer. They are looking for a leader of principle, and they are now looking for a fearless vision," O’Malley wrote in an op-ed published Thursday in the Des Moines Register. The long-shot 2016 Democratic presidential candidate called O’Rourke’s unsuccessful 2018 Senate run "disciplined and principled" while remaining "raw, authentic, and real." "He spoke to the American values of honesty, compassion for one another, and courage in the face of a rapidly changing future," O’Malley wrote. "These are the American values alive and well in the hearts of our young people. These are the values which tell us where America is headed." O’Rourke’s vision and messaging captivated the nation in 2018, and the former Texas congressman could repeat the phenomenon in 2020, according to O’Malley. "O’Rourke has the wisdom to listen, the courage to lead, and a rock-solid faith in the powerful goodness of our nation. 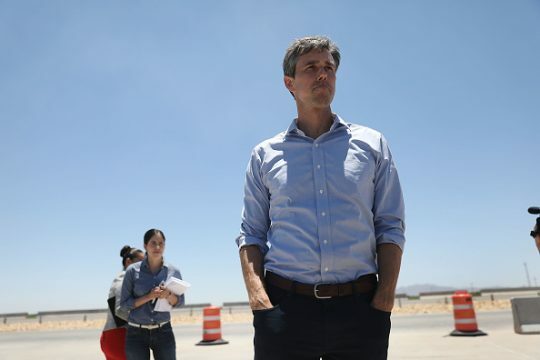 Because he is of a new generation, O’Rourke understands that a new way of governing—with openness, transparency, and performance—is called for to tackle our problems in the Information Age," O’Malley wrote. "And because he is from a border state, O’Rourke understands the enduring symbol of our country is not the barbed wire fence, it is the Statue of Liberty." O’Malley confirmed that he would not be running again in 2020, and—despite a growing field of Democratic presidential candidates—he believes O’Rourke is the best candidate to make "an American future large enough for all of our children." This entry was posted in Politics and tagged Beto O'Rourke, Iowa, Martin O'Malley. Bookmark the permalink.